Lin-Manuel Miranda, Thomas Kail, Alex Lacamoire and Andy Blankenbuehler will be recognized by the Kennedy Center as the creators of Hamilton, the first work in any performing arts discipline to be singled out as an honoree in the awards’ 40-year history, and seated together for a photoshoot and a conversation with The Washington Post to talk about the one key scene helped cement the musical as a Broadway legend. Check out the photos in our Gallery. Read the full article after the cut. NEW YORK — “Bit by bit, putting it together,” goes the song about the act of creation by Lin-Manuel Miranda’s idol, Stephen Sondheim. 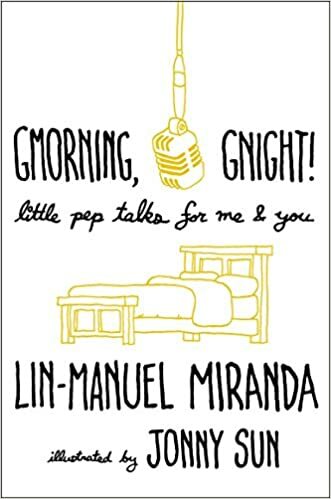 It wasn’t until Miranda was a spectator at his own show, and no longer a performer in it, that he grasped the real power of one of the most extraordinary numbers in the musical that he and the three other original members of the “Hamilton” brain trust painstakingly assembled, bit by remarkable bit. The observation is an especially moving one, coming from the man at the vortex of a team of cyclonic talents that has reminded the world that musical theater is unarguably a great American art form. On a gray day in October, his thoughts on “Satisfied” are being recorded as he sits in a conference room of a Bronx movie studio with those three other artists: Thomas Kail, Alex Lacamoire and Andy Blankenbuehler. Together, they are being recognized by the Kennedy Center as the creators of “Hamilton,” the first work in any performing arts discipline to be singled out as an honoree in the awards’ 40-year history. The four men, ranging in age from 38 (Miranda) to 48 (Blankenbuehler), have forged one of the most significant creative alliances in the contemporary world of the stage. With Miranda as composer and star, Kail as director, Blankenbuehler as choreographer and Lacamoire as music director, they’re collectively two-for-two in building Tony Award-winning musicals for Broadway, the first being 2008’s “In the Heights.” And the second: a musical of such international influence that it’s playing simultaneously in New York, London and through three American touring companies; has been showered with awards; and reached so deeply into global culture that it’s sung everywhere from block parties in Brooklyn to dance academies in Beijing. On this afternoon, an effort to gather the men in one place for a conversation about what this award memorializes — the art of collaboration — has resulted in a sit-down at Silvercup Studios North, where they are participating in another project they all have a hand in: a limited series for FX about director-choreographer Bob Fosse and dancer Gwen Verdon. When it was suggested that the interview focus on one galvanizing interlude of “Hamilton,” and how each played their part in making it happen, the reaction was immediate and electric. It was an opportunity for them to reflect on the profound psychic-income aspect of their group achievement and the ineffable bond that feeds artistic success. “To your union,” Angelica sings in the five-minute-plus number’s opening segment, “And the hope that you provide/May you always/Be satisfied.” What then follows is what the song identifies as a “rewind”: going back to the events of “Helpless,” but told now from Angelica’s anguished perspective, in a way that crystallizes a pivotal facet of her character. “I remember that night, I might regret that night for the rest of my days,” she sings, in the song’s defining line. In returning to that moment, Kail says, “we realized that there was an opportunity for Lin to play with the timeline, and the way that we moved through time.” That concept would repeat itself at another climactic moment of “Hamilton,” in the freeze-frame rendering of the bullet that fatally strikes Hamilton in his duel with Aaron Burr. It was not an original idea, actually: The creative team was borrowing a cinematic technique, one of many they use in the show. Kail says: “This is something I talk to the actors playing Angelica a lot — about ‘Ratatouille’ ” — the 2007 animated movie about the rat that becomes a Parisian chef. Kail explains that the freezing of time in “Hamilton” has its parallel in the moment in the film when the food critic, voiced by the late Peter O’Toole, has an epiphany as he savors a piece of food.